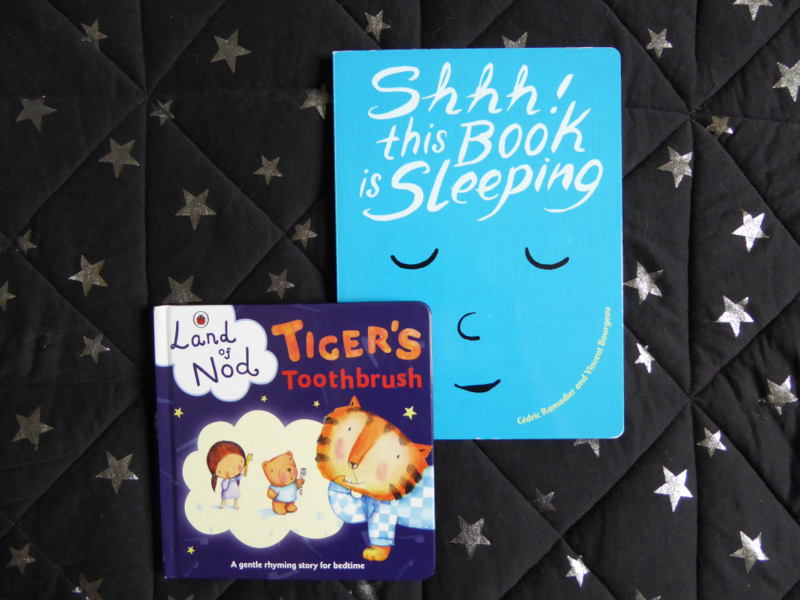 It's the parental holy grail: a book which will send your toddler to sleep, every night, no fuss, guaranteed. These books are probably not that (I doubt there is such a thing). 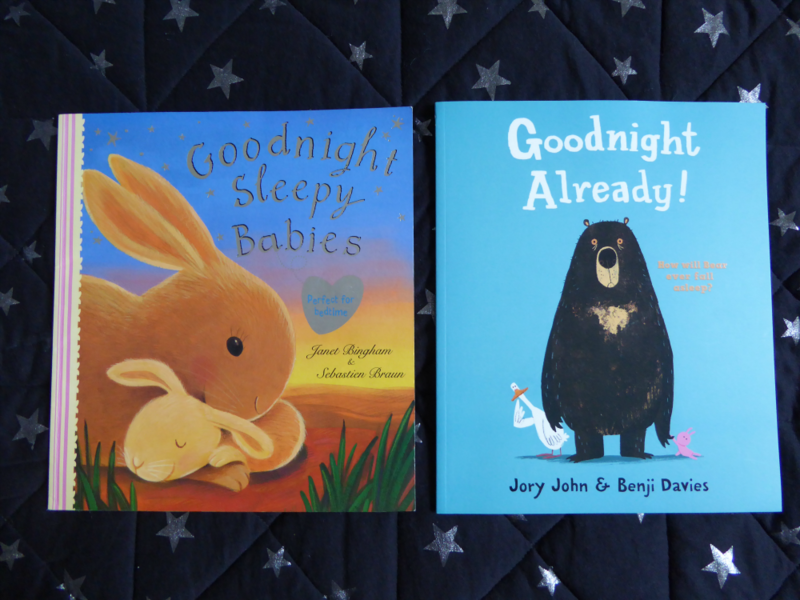 But they are rather lovely books to read at bedtime when everybody - not just the two year old - could do with a nice calm cuddle, a soothing story and a little bit of time to unwind. Probably MM's favourite of the bunch. Steve and I are quite fond of it, too (it's short). We originally got this from the library but MM was so taken with it - every word memorised; key paragraphs recited throughout the day - that we asked a relative to get her a copy for Christmas. 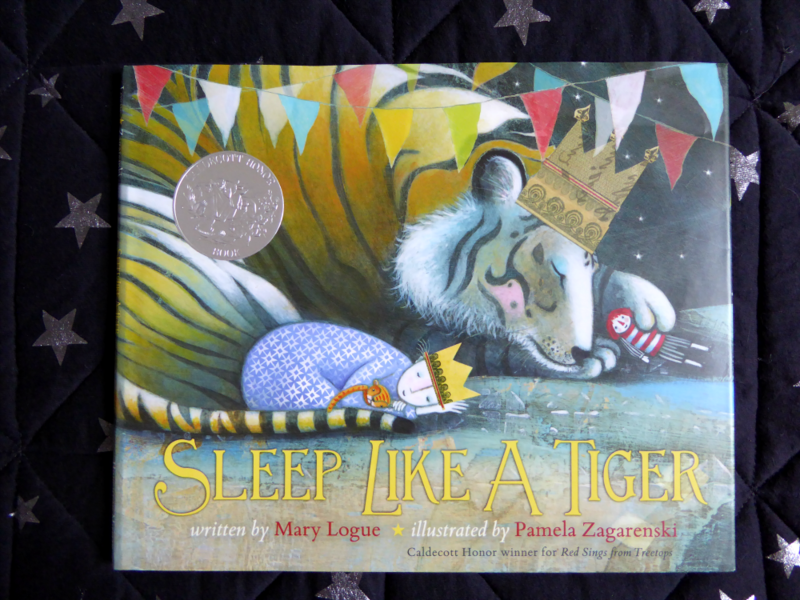 It's a rhyming book in which a little girl and her teddy bear help a tiger to find his stripy toothbrush. That's it. Sweet and soothing. Shhh! This Book Is Sleeping! 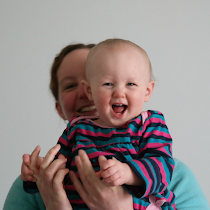 Lots of fun when your kid isn't quite ready to sit still. It's an interactive book - you read the book a story; give it a kiss and a cuddle; switch off the light; generally get it ready to go to bed (and, unlike your two year old, it does fall asleep at the end). It makes a nice change for your kid to be in charge of somebody else's bedtime. We read this one A LOT. One of my favourites, this is such a lovely book. It's a gentle rhyme all about different baby animals drifting off to sleep. Lots of the babies are cuddled to sleep by their parents (mums and dads get a mention) so it's a very soothing, reassuring read. Gorgeous. Much less soothing but very entertaining. Bear is trying very hard to get to sleep; his next door neighbour, Duck, is very keen to keep him awake. The irony goes right over MM's head as she bounces around, stringing out bedtime with demands for extra toys/cuddles/stories/whatever, but it amuses Steve and me, and she finds the pictures (particularly those of the increasingly exasperated Bear) hilarious. 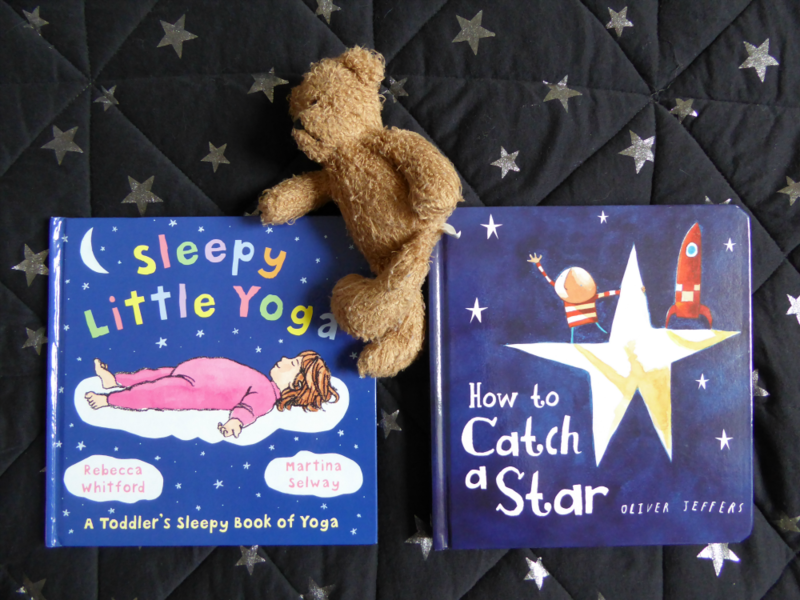 Okay, so the point of this book is to take your toddler through a series of relaxing yoga poses which will help them drift off to sleep. That's not how it goes in our house. In our house, Steve does the poses while MM bounces around, demonstrating that she does know how to flop down like a tired bunny but that she prefers to tickle her father. It's lots and lots of fun (as long as you're the parent reading it aloud, not the one clambering around on the floor!) and does seem to help her burn off the last of her energy. If you've read any Oliver Jeffers before you'll know to expect weirdness and sweetness. And that's what you'll get. A little boy tries to reach high enough to catch a star, then low enough to fish one out of the water. It's surreal and rather lovely. My other favourite - this is just gorgeous. A little girl insists that she isn't sleepy; her parents tell her she can stay awake all night, if she wants to; they chat about all the different ways in which animals sleep; and (after her parents leave the room) she mimics the animals' movements and drifts off herself. It's beautifully written with stunning illustrations - I bought this about a year ago and I'm so happy that MM's finally old enough to love it, too.